Dupaco Community Credit Union’s Bright Track just got even brighter. Now, in addition to your credit score and credit-building tips, you can access your full credit report—a free benefit of Dupaco membership. Regularly monitoring your credit report is another way you can not only guard against identity theft but also keep tabs on your financial life to pay less and save more. “Your credit doesn’t just determine whether you qualify for a loan and low rate, but it also affects your insurance rates and even whether you get a job sometimes,” says Tonya McGlaughlin, branch manager at Dupaco’s San Marnan Learning Lab in Waterloo, Iowa. Here’s how to start navigating your credit report for an even brighter financial future. If you find errors on your report, you can quickly file a dispute with TransUnion within Bright Track. Look at the general health of your credit, watch for inaccuracies and be alert for hidden surprises on your report, such as a collection you didn’t know about or a possible case of identity theft. If your credit score isn’t where you would like it to be, consider scheduling a free Dupaco Credit History Lesson to learn how you can drive up your score. It might be something as simple as a Credit Coach Loan to get your credit moving in the right direction. 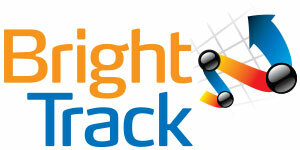 Bright Track updates your credit report and score every month. It’s a good idea to check in monthly to make sure there are no surprises, according to McGlaughlin. Within Bright Track, you can turn on the credit monitoring feature to be alerted whenever a new account is opened in your name or a credit inquiry is made. “Credit monitoring is a good tool to take advantage of,” McGlaughlin says.